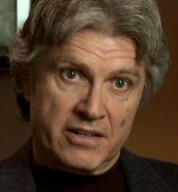 William Collinge, PhD, LCSW is a consultant, author, speaker, and researcher in the field of integrative health care. He conducts a private practice of health-related psychotherapy and mind/body medicine in Oregon for individuals and couples facing the challenges of serious illnesses and has extensive experience supporting people dealing with cancer. This post was provided by William to help families dealing with a mesothelioma diagnosis. Through the eyes of loved ones of people with mesothelioma, there is no question that the disease and its treatments affect not just the patient, but those around him or her as well. It is a shared experience, in fact, studies have found that caregivers may have as much or even more distress than patients. One reason for this is that while mesothelioma patients have concrete actions to take, such as treatments and medications, caregivers may have a sense of not knowing what to do that could impact the well-being of the patient. This “not knowing how to help” can lead to a feeling of helplessness or frustration for the caregiver, that further adds to the emotional burden of caring for a loved one going through a serious illness and its treatments. On the other hand, when caregivers know concrete actions they can take that will help reduce suffering in their loved one, both people feel better. The quality of their relationship improves, and the care giving role becomes much more satisfying and fulfilling. Recent research in caregiver education has found that one way caregivers can reduce symptoms in cancer patients is through the simple use of touch. Studies have shown that the simplest forms of touch, including light touch or simple holding of areas of the body, can be as effective as a formal massage provided by a professional therapist, for bringing relief of pain and other symptoms. Most people think of massage as a professional skill that requires special training. Thus, caregivers may not think of this as something they can offer. For this reason, the National Cancer Institute sponsored a study to develop and evaluate and instructional DVD program for caregivers called “Touch, Caring and Cancer: Simple Instructions for Family and Friends.” The program offers instruction in simple techniques for comfort and relaxation that can be done at home safely and effectively. A study of the program included patients with lung cancers as well as other types of cancer, and found that loved ones were able to significantly reduce pain, anxiety, depression, fatigue, and nausea in patients by using the techniques taught in the program. The more we learn about the effectiveness of touch and other complementary therapies, the more it becomes clear that there is a great deal caregivers can do to empower themselves and help their loved ones feel better while undergoing treatment. New initiatives for caregiver education are springing up around the country as the number of people in a care giving role continues to grow. Caregiving can become a true source of satisfaction for both the giver and receiver with the learning of new skills. To learn more about Touch, Caring and Cancer click here. Did you enjoy this guest post? What specialists would you like to hear from? Let us know in the comments below, on Facebook or Twitter.